Earlier this year it appeared to me that Mayor Lee Brand had teed up the perfect sales tax proposal for Fresno: a half-cent divided between parks and public safety. 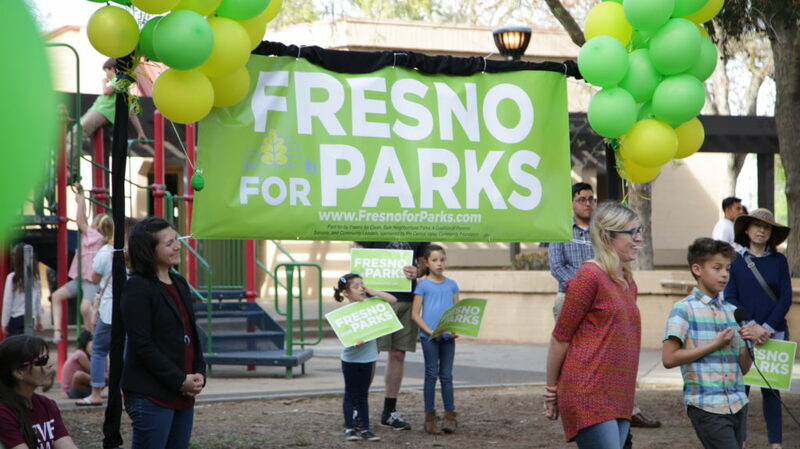 But the Fresno City Council majority shot down the idea and now voters have a single option — a 3/8 of a cent hike for parks, trails, and cultural arts — to consider on the Nov. 6 ballot. A big question remains, however. How many officers does the police department need to keep Fresno citizens safe? 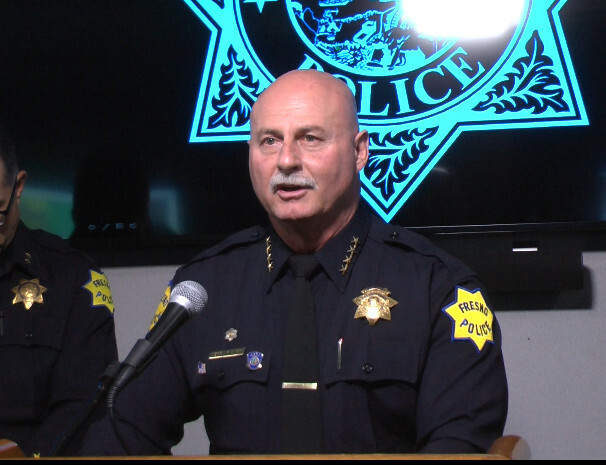 I recently interviewed Fresno Police Chief Jerry Dyer on that and other subjects. Here is a transcript of our conversation, lightly edited for clarity. How many police officers does Fresno really need? Dyer: Currently, we have 815 officers. If you look back to where we were in 2009, we had 847 officers. And the city of Fresno has grown at a rapid pace over the last nine years. So we’re actually playing catch-up. And over those years some of the officers that we’ve hired have been dedicated officers — meaning they come with an outside funding source. Currently, we have about 75 police officers dedicated to an assignment based on an outside funding source — to the schools to the FAX bus detail, to various grants, to our sanitation detail. It’s not necessarily how many officers you have in an organization. It’s how many officers do you have the discretion to use as you want to use them. So when the question is asked of me, how many officers do we need? It’s really a broader answer. I would say today we need a minimum of 900 police officers in this organization that we have the latitude to use in a manner in which we see fit. Whether that’s having them in patrol, traffic, proactive assignments, special response team, or investigations. So 900 officers, excluding the grant-funded positions, would give Fresno what it needs today? Dyer: I’d say 900 officers today with the flexibility to use all 900 of those officers would be a good place for us to be. Knowing that we have 75 officers that are already dedicated, makes it a little bit more challenging. And, on top of that at any given time, you have a certain number of officers that are on a long-term absence from injuries or whatever the case may be. Today I have 61 that are off on a long-term absence for a week or more that I don’t have access to. When you start factoring those in and you also must have a certain number of officers working in investigative assignments, traffic units, proactive units, and patrol seven days a week 24 hours a day, it takes a lot of officers within a city like Fresno, which has 530,000-plus people. With the number of calls for service that are generated here, it takes an enormous amount of officers to meet those needs. Looking ahead, let’s say five years from now, can you project what the number of officers should be? Dyer: I think the projections of how many officers you hire per year should stay consistent with keeping the department somewhere around 1.8 officers per thousand (population). So if the population increased by 10,000 per year, I’d say we probably need somewhere between 15 to 18 officers added every single year. That’s once we’ve gotten to an optimum number. If all of a sudden, we start to see call volume go down, we may need fewer officers. Have you ever seen Fresno’s call volume go down? Dyer: There was a period of time where we saw our calls for service go down incrementally. Part of the reason was the strategies that we were using with problem-solving. We know that there are certain locations that generate a lot of calls for service. A problem-solving approach is to look at what is causing those calls and come up with strategies that will allow us to reduce them. That’s the best way to approach policing versus being reactive. This falls under community policing, right? Dyer: Problem-solving is part of the community policing philosophy. At one time, we had we had POP teams — problem-oriented policing teams — in all five of our policing districts. A sergeant and five officers in every district that were problem-solvers. They were the ones that would look at where your highest volume calls for service came from. And then ask, what are the things that we can do to reduce those calls. That works very well. Was it the recession that made POP teams go away? Dyer: The recession had much to do with it. We lost 155 officers during that time. But we still had to have a sufficient number of officers out in the field to respond to calls for service. So the cuts came in all of our proactive units: our problem-oriented policing team, our district crime suppression teams, our traffic bureau. Dyer: The reason is simple. The No. 1 thing that we’re measured by in law enforcement is crime — crime reduction. But it’s not the only metric that makes us important to our community. And so, yes, violent crime right now is flat in our city. Homicides are down 34 percent this year. Shootings are down 30 percent but that’s compared to last year. Last year we had an increase in violent crime. We had an increase in homicides last year — 56 compared to 39 the year before. Shootings were up. So we’re reducing violent crime. Yes, but compared to last year which was high. We want to get to that place where we were back in 2006, 2007, 2008, where every year we were seeing crime reductions. Every single year it was trending down based on a proactive effort. And then the recession hit and we saw things turn. 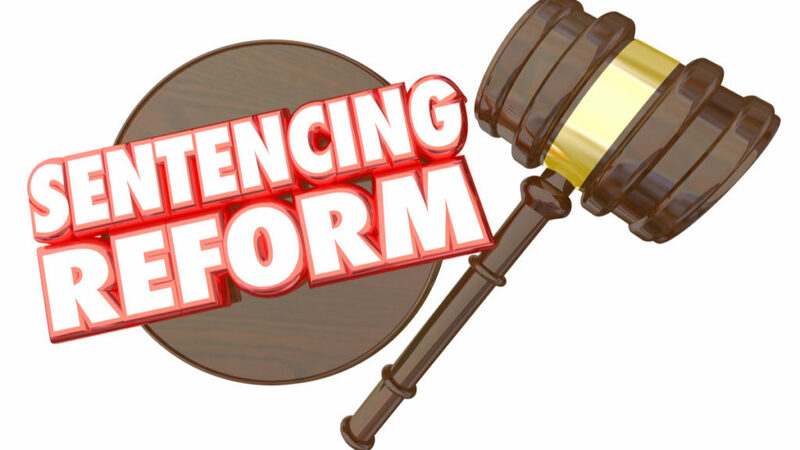 What makes it even more challenging today in California is the changes that have occurred in the criminal justice system with all the laws that have really weakened our ability to hold people accountable. That even makes it more challenging for officers on the street and more work. We’re also measured by our response time to calls for service. We’re measured by how quickly we’re able to answer 911 calls. We’re measured by whether or not we’re not only responding to those calls in neighborhoods but we’re actually taking the time to be able to solve those neighborhood issues and problems. We’re measured by our presence in a community. Our investigative follow-up. It’s sometimes shameful in law enforcement to see that certain cases like child abuse and sexual assault are not being worked in a timely fashion. Where victims are having to wait in order to get that case solved. Those are the things that people may not see. They may see the crime numbers but they don’t see the investigative caseload. They don’t see the delayed response time. They don’t see the delay in 911 answer times. That leads to a subject that has received considerable attention. People put on hold when they call 911. What’s the situation? Dyer: All 911 calls come in the dispatch center. Non-emergency calls, which is our 621-7000 number, and 911 calls. Whether that’s for a police response or medical aid, we’re the primary receiver of those calls. We receive about 3,000 calls a day over a 24-hour period. Of those, about 40 percent are 911 calls. There are peak hours. There are times when we have major incidents that occur at the same time and that taxes our dispatch center. So we measure how long it takes us to answer those 911 phone calls. The state mandate is that 95 percent of your incoming 911 calls are answered in 15 seconds or less. We’ve been hovering around 75 percent throughout the last year. In the winter months, it may get up to 80, 85 percent. In the summer months, it may be down around 70 percent. Those numbers don’t mean a lot to people. What really means a lot to people is that when they pick up the phone and call 911 and sometimes they’re on hold for six or seven minutes, that’s a disservice to our community. But yet that’s exactly what’s happening in the dispatch center. And it’s because we have not hired the number of dispatchers that we need over the years to keep pace with the volume of calls. What investment in personnel and technology is needed? Dyer: First of all, we have state-of-the-art technology. Citizens pay into a 911 fee every year. We just upgraded our entire communications center. We have automated call-taker positions, meaning that when a call taker is waiting for a call to come in, they don’t answer the phone if they’re in service. It automatically rings to them. Where we’re lacking is the people needed to sit at those consoles to pick up those emergency and non-emergency calls. You can see during the course of the day where we have a significant number of those consoles vacant. And it’s because we have far fewer dispatchers today than we did nine years ago. And yet the call volume has increased significantly. And when you realize the difficult job that a dispatcher has, not only talking to somebody that is frantic — sometimes high on drugs or alcohol, emotionally charged, screaming yelling, angry — and they’re trying to process that information and get it done very concisely and get that into the hands of the police officers, it’s very stressful. And it makes it more stressful when they know that there are calls that are waiting to be answered that they can’t answer because they’re on the call with another person who has an emergency need as well. The Fresno City budget — a significant amount of it — is dedicated to public safety, and yet a great need remains. Put yourself in the mayor or the city council’s chair. How would you wrestle with this? Dyer: Well I am very confident that Mayor Brand, that our city manager, that our city council all place a high priority on public safety. It’s about whether or not the revenues will support the number of officers and dispatchers and equipment that we need — not only in the police department but in the fire department — to meet all of the needs within a community. The answer right now is no. When you look at what the revenues are today and what they’re projected to be over the next five years, they are nowhere close to what is needed. The greatest frustration I have as a police chief is knowing what our capacity is today, what the expectations are and the need in this community. There’s a huge gap there. And the biggest frustration that the mayor and the council has is the current revenues. And here’s what the needed expenditures are to meet the needs in this community. Absent having some other form of a sustained revenue base for this city that’s dedicated to public safety, I don’t know how that gets met in the future. The mayor proposed a half-cent sales tax split between parks and public safety. It went to the council and it was shot down. Three council members who brand themselves as strong supporters of law enforcement voted against it. How disappointed were you? Dyer: Disappointed to know that there doesn’t appear to be any answers on the table or recommended solutions for meeting that revenue shortfall. It would be one thing to not support some type of a public safety revenue if there was another answer. But so far no one has provided that answer. And that’s where I think the frustration lies for the mayor and myself. At some point, somebody has to come forth and have the courage to say we do not have the revenue to support public safety in the manner which we need to. Therefore we have to do X. Right now, the only one that’s come up with an X has been the mayor. And that is a half-cent sales tax that would be split between public safety and parks. Unfortunately, there’s no momentum for that to occur. Now we have a situation in which a parks-only tax hike will be on the November ballot. Dyer: I applaud the effort of those individuals that are out there trying to enhance parks. But the reality is, at least in the position I sit in today, that is not the priority for this city. When I look out and see the number of people being victimized in our community, the delayed response time for victims, and the incredible workload that these officers have and the equipment that they’re operating with, the priority should be public safety. If we can not adequately protect and serve this community, I can’t imagine why we would want to pursue a 3/8 sales tax for a parks measure. What do you what do you say to people who counter that parks have been waiting forever? Dyer: We had what I believe to be a balanced approach. In fact, it really wasn’t even balanced. A half-cent sales tax that would have supported parks, police, and fire. Well, parks were going to get a quarter-cent and police and fire were going to split a quarter-cent. So that wasn’t really even balanced based on our needs. But it appeared to be fair at the time. I just think it needs to be revisited. And I’m not going to be the guy out there beating the drum or campaigning against this initiative for parks because those folks have worked hard and they have good intentions. But I would have liked to see that same energy level put behind a public safety initiative. In the first year or two that you were police chief, I wrote a column about DWB — driving while black. You study numbers. At that time, you said, “We have room for improvement and we’re going to improve.” Yet The Atlantic published an article on its website recently citing statistics that indicated black residents are stopped at a rate much higher than their make-up of the population. Your reaction to that article and how do you address this? Dyer: Well, first off the article was biased. The individuals that were involved in that had an agenda. We knew that. I had an option to be a part of that interview process or not. I chose to be a part of it so that I could at least offer some form of an explanation as to what really occurs out on the streets when police officers are trying to protect people in neighborhoods. The numbers in and of themselves do not say it all. The truth is, in many of our neighborhoods there’s a lot of violence. There are gang members being recruited out of those neighborhoods. And as a result, some of those neighborhoods happen to be more susceptible to shootings. More susceptible to robberies. Our job as a police department is to have a presence in those neighborhoods. Not only to make people feel safe but to prevent those crimes from occurring but to take away the anonymity of some of those individuals committing these crimes. To do that, police officers are proactive. They’re going to look for suspicious activity. They’re going to look for individuals that are perhaps driving a car that is in violation of a traffic law. Maybe they’re gang members. And during the course of that investigative stop, they conduct a search and they retrieve a gun from a gang member and they stop the next shooting. That is police work. I’ve been in this job — police work — for 39 years. I’ve never had somebody, a gang member with a gun, flag me over and say I want to turn in my gun to you. Can I get in the back seat of your patrol car? Doesn’t work that way. Police officers do investigative stops based on probable cause and they retrieve firearms out of the hands of gang members. And what I have found in these neighborhoods — the people that are honest law-abiding citizens that live there and live in fear — they want us to be in those neighborhoods. They want us to be making those traffic stops. However, they want us to be doing that lawfully, legitimately, and respectfully. And that’s what I try to get our officers to do each and every day. So is it true that in those neighborhoods that there are going to be increased levels of proactive police work? Yes. Much more so than in neighborhoods where there isn’t that likelihood of a drive-by shooting. But we’re doing it for the right reasons. We’re doing it lawfully. And I just want people to realize it’s not being done for any other reason than to prevent young kids from being shot in a drive-by shooting. The Washington Post singled out Fresno PD in 2015 as an example of an agency successfully building trust in minority neighborhoods. Do you feel like you’re suffering from media whiplash? 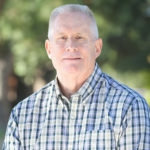 Dyer: At times it gets very frustrating knowing that the truth of what is really occurring in those neighborhoods isn’t being told by an outside body. That happens to be in this case with a magazine (The Atlantic), which we know has a history of leaning far left. And when you have those types of articles that have the potential to go nationally or be read by a multitude of people, it can tarnish your city. It can tarnish your department. But we know the truth. Those people that live in those neighborhoods, they know the truth. And we cannot allow some outside entity or outside body tear us apart as a community. Many of Fresno’s problems stem from school segregation and discriminatory lending practices of decades ago. Is the police department supposed to help solve social problems or is the police department supposed to go out and keep people safe by nabbing bad guys? Dyer: What I have seen over the years is there is an increased expectation of police departments and police officers to be more involved in social issues. Very little of what we do on a day-to-day basis impacts reducing crime. We’re responding to the issues of mental health and issues in some neighborhoods involving blight and poverty. The end result is some type of a call that necessitates our response. The reality is, people complain because at times they think we have too much of a presence in schools. That we’re criminalizing students. Yet if we’re not on these high school campuses and a child gets injured or hurt or there’s some type of an active shooter the police are blamed. So what we want to do as a police department is to be focused on those things that police departments were created for. Unfortunately, as a result of so many social service entities out there that have abdicated their roles to us, that happens to be what we get involved with most. Let’s say that you’ll be able to hire more officers. Will there be space in the jail if you’re out catching more bad guys? Will there be enough prosecutors to try cases against people who are arrested? Will there be enough probation officers to handle the caseloads? Dyer: Just because more police officers are added doesn’t necessarily mean that increases the workload for other components of the criminal justice system. In fact, I would argue that the more police officers you have, the less work that you have for other components of the criminal justice system because an increased presence of police officers in neighborhoods will prevent and deter crime. Now if all those officers were out for the purpose of only making arrests and introducing those people into the criminal justice system, the answer would be yes. But if you look at what’s happened in California in the last six or seven years with decriminalization — no matter how many officers are in neighborhoods, the laws are not there in order to support large numbers of arrests. An increased presence of officers in and around neighborhoods, employing the right strategies and being involved in community policing … reduces the overall workload of the entire criminal justice system, including the jails and the prisons. Gov. Brown was under tremendous pressure to reduce the number of state prison inmates. Do you have an idea of what a better alternative to AB 109 would have looked like? Dyer: I was the president of the California Police Chiefs in 2008. I was part of a small working group looking at alternatives to incarceration so that we could reduce the prison population as a result of lawsuits. We had put together an agreed-upon solution that would have allowed the downsizing of the prison population to occur over about a three-to-four year period. Unfortunately, everyone agreed to it at that time except Gov. Schwarzenegger. And, at the eleventh hour, that plan got rejected. … So that’s how AB 109 came about. I think it was too much too soon. But I also believe that ultimately over time we adjusted and we have gotten to the point where we were coming up with some creative solutions locally to address that impact of that mass prison decrease. Which went, by the way, from about 172,000 inmates to under 115,0000 inmates in a very short period of time. The problem was that right after AB 109 realignment passed, then there was Proposition 47 and Proposition 57. Now we are trying to drink water out of a fire hose because there have been so many things happen in a relatively short period of time that it has truly overwhelmed the criminal justice systems locally in California. Don’t studies that indicate Propositions 47 and 57 are working without increasing crime? Dyer: I think what people have said in terms of 47 is that, yes, there has been some crime increases but not to the degree they had thought. I could argue that what we have seen is increased victimization in California and decreased reporting to law enforcement (of property crimes). We know that to be true during the recession when we were no longer responding to certain types of calls. You were a supporter of the Office of Independent Review. Has it helped improve policing? Dyer: Any time you have an Office of Independent Review it allows for an outside body people feel more comfortable coming to if they need some questions answered and they don’t trust the police. In that respect, it has provided an added layer of access to certain members of the community and it has caused certain people to trust the system. Now we know that no matter what you add, there are going to be certain individuals out there that are never going to trust the police and never going to trust the system. But I said from the onset that the success of the Office of Independent Review is going to deal mainly with what authority that office has and who’s sitting in that chair. Today, John Gliatta, a former FBI agent, is the person who sits in that chair. He has done an incredible job in the short time he’s been here. He has truly opened up lines of communication with the police department, with my staff, with me, with our labor unions. And he’s very objective. He’s a great investigator. And I think right now we’re looking at a time when perhaps this has been the very best in terms of relationships between the Office of Independent Review and the police department and the community. Good job laying out FPD’s needs. I do believe that in 2009 Fresno benefitted from the Fed’s COPs funding and also from Stimulus and Recovery money in order to beef up the force. What is the status of similar Fed funding now?